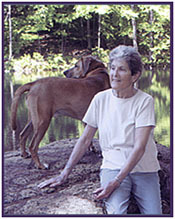 Maxine Kumin, former Poet Laureate of New Hampshire died on Thursday, February 6th at her home in Warner, New Hampshire. She was the author of sixteen books of poems, most recently, Where I Live: New and Selected Poems, 1990-2010. Her collection Up Country: Poems of New England, won the 1973 Pulitzer Prize for Poetry. She was the recipient of the Ruth Lilly Poetry Prize and an American Academy and Institute of Arts and Letters Award. She served as the poet laureate of New Hampshire from 1989 to 1994 and as a consultant in poetry to the Library of Congress, 1981-1982, before that post was renamed poet laureate of the United States. An active writer throughout her life, she was the author of a memoir, three essay collections, a collection of short stories, four novels, several children's books and an animal rights murder mystery. Maxine was originally from Philadelphia and later taught in Boston. Kumin and her husband moved to a farm in Warner, which they called the "Pobiz" farm. They lived together there for close to 40 years, raising horses and growing vegetables. Her first book of poems came out in 1957 when she was 36 and living in Boston. She was a strong role model and an ardent advocate for women writers and poets. Kumin taught at many prominent universities and colleges including MIT, Princeton, and Columbia. Although she traveled frequently to lecture all over the country, her heart was always with her farmhouse in rural New Hampshire. She valued the beauty of the land, evident in her writing which often included scenes of her Warner farm and landscape. In an interview published in the Crazy Horse journal, she shared, "Practically all of (my poems) have come out of this geography and this state of mind." In celebration of their 25th anniversary, NH Public Radio identified Kumin as one of 25 Granite State citizens who had significant impact on the state's culture and environment. She is cherished by the State of New Hampshire.